Grounded in the science of Regulation Thermography, the Whole Body Thermometry system provides a visible measurement of the Autonomic Nervous System, often the key to knowledge regarding the mechanisms involved in the development of disease. Thermometry identifies multiple areas of physiological dysregulation and generates recommendations that can be used to guide treatment priorities to address the causative factors of many diseases. Every doctor makes decisions based on medical insight, as well as subjective observation, often aided by anatomical imaging devices such as MRI, Mammography and CT scan. 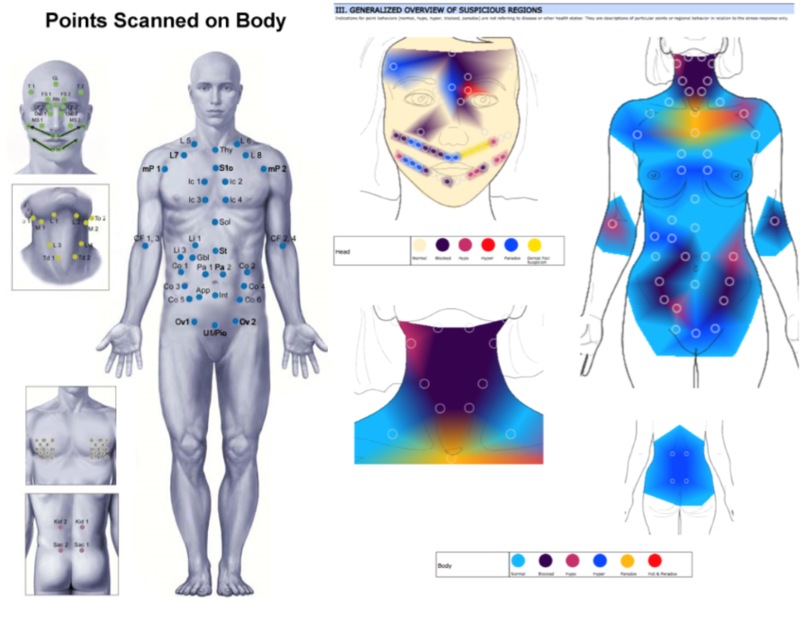 This new evolution of mathematical thermographic technology is the result of years of clinical case data validated with disorders such as breast disease, inflammatory disorders, and endocrine dysfunctions. Infrared measurements of skin temperature from 90-120 points on the body are taken before and after exposure to a cool-ambient room temperature. As the nervous system reacts to the cool air, similar to the “fight or flight” reaction, signals travel from the spinal cord through the regional nerve ganglia that innervate the organs of that region. They continue to the skin’s capillary beds, where temperatures providing organ and tissue health information can be measured. Thermometry measures the differences between the two temperatures taken before and after the cool air exposure. This data is compared to a database of healthy patients and reveals deviations that identify patterns that are reflected in easy to understand charts and reports. Contributing factors to organ health are also captured during the test. This integrative approach helps your doctor determine the therapies best suited for you, as well as additional tests that may be necessary to confirm findings. 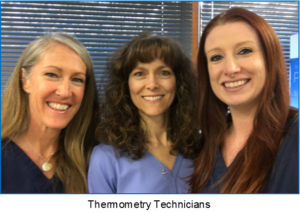 The overall experience is safe, pleasant, and relaxing for the patient. There is no harmful radiation, pain, or confined spaces. 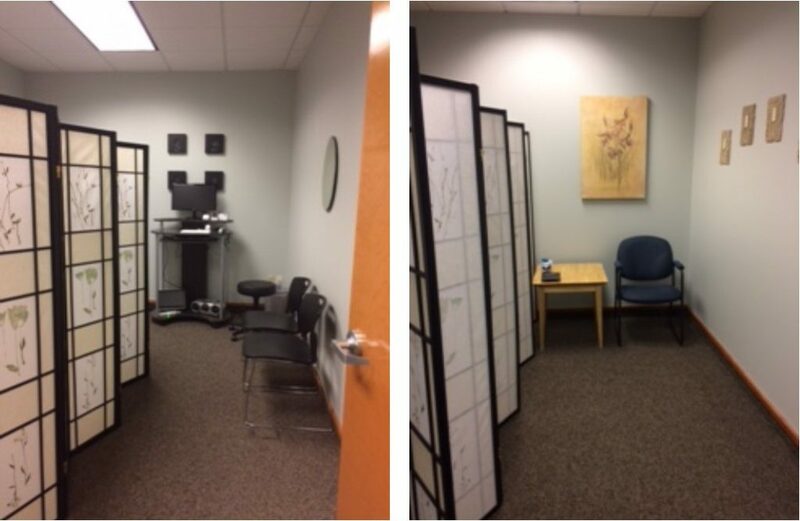 To insure accurate test results, the imaging room is a constant controlled temperature at 70 degrees Fahrenheit (21 degrees Celsius.) The total process takes about 20 minutes. A female nurse or medical assistant who is a certified thermographic technician will perform the test. The patient will stand, while wearing a robe and long pants or long skirt and socks, as the first set of measurements are taken. The patient will then disrobe and wear a spa wrap around the waist while standing for a ten-minute cooling period before the points are measured a second time. 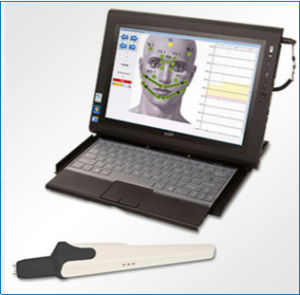 The test data is then computed by the system and the results are reviewed during a consultation with a doctor trained in Whole Body Thermometry at Integrative Medical Specialists.